WCCA TV, Worcester Community Cable Access Inc., is pleased to announce, the board of MassDevelopment, the Mass Cultural Council’s partner in the administration of the Massachusetts Cultural Facilities Fund, have met to approve grant recommendations for the 2018 round of the Cultural Facilities Fund. 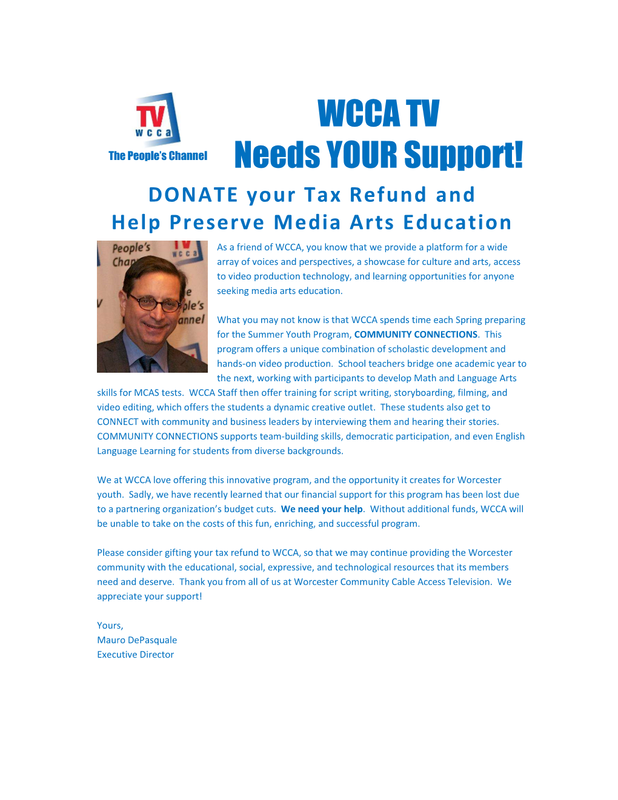 WCCA TV has been approved for a Capital grant in the amount of $200,000. In addition, our organization has also been approved for a Systems Replacement Plan (SRP) grant in the amount of $7,000. The SRP is a 20-year capital needs assessment of a facility and its mechanical systems. The first phase of the project is to address façade and fixture updates, safety improvements, and to increase accessibility of its production and digital arts amenities. Through this first phase the front entranceway would be greatly improved which will make our part of downtown Worcester more attractive and well lit. It will, also, enhance content creation by improving its creative space and allowing programming and operational efficiency. 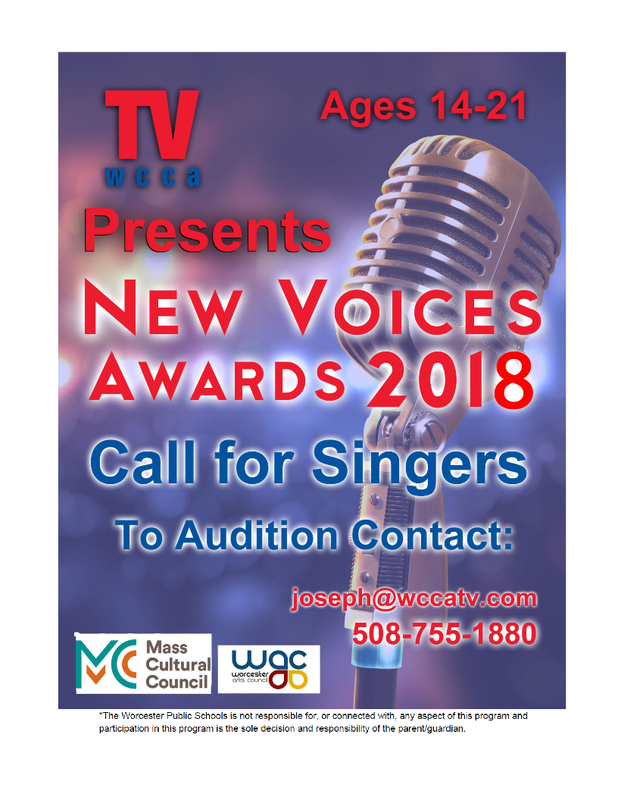 WCCA TV has previously completed a feasibility and planning study, and is continuing to pursue other grants and funding for the project. During recent months WCCA has met with representatives from Mass Development, City Officials, and area organizations and community members to explore avenues to move the project forward. WCCA TV hopes to have the funds raised for the scope of phase one of the Façade by the end of this year, and we hope to begin work on the façade soon afterwards. This amount required for the project is above and beyond the public access funding and the contractual equipment and facilities funds that WCCA TV receives through the City Cable franchise provisions. WCCA recently made some improvements with its community media center digital creation tools. The community media television station recently secured over $160,000 in new content creation technology that raises its television studio technology to a new state-of-the-art level. This has led to an increased integration of our traditional cable television with a diversified online presence by using multi-casting and multi-sourcing technologies, while further empowering and engaging all participating communities and citizens of Worcester. It has also further empowered the community to access more dynamic video production options in an increasingly efficient and effective manner. 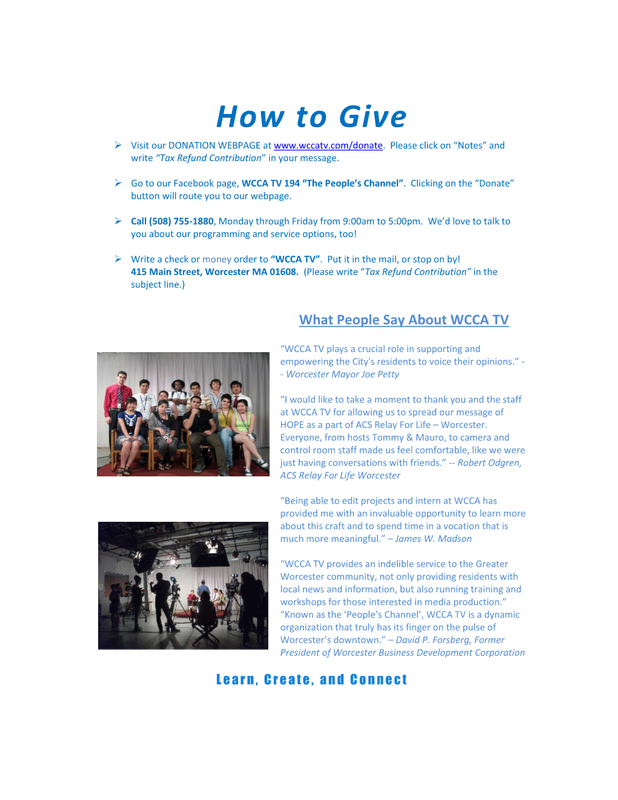 WCCA TV has expanded its presence and can be viewed on multiple platforms worldwide, including Charter Cable 194, wccatv.com, FaceBook, YouTube, Roku, and others. It can be seen on multiple devises as well. Stay tuned for more good news to come. 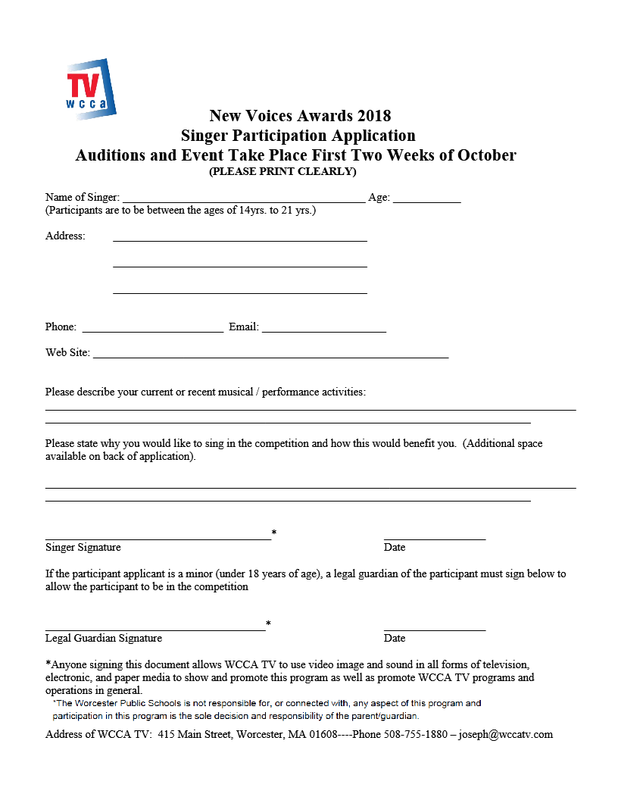 This entry was posted in Community, Events, Public Access, Tracy, Website and tagged Best PUBLIC ACCESS Television, City and neighborhood news, Community Media, Events and Information, fun, Local News, MA, Mass Cultural Facilities Fund, Mass Development, Mauro DePasquale, MCC, Meaningful media, media democracy, media training and workshops, Public Access, public access TV, Soapbox, wcca tv, wccatv.com, Worcester, Worcester Local, Worcester news, Worcester TV on May 15, 2018 by webmaster. The International Women’s Day Celebration at the YWCA of Central Massachusetts — WCCA TV Was There! WCCA TV recorded The International Women’s Day Celebration on March 6, 2018 at the YWCA of Central Massachusetts, and Cynthia LaPan interviewed the CEO of YWCA USA, Alejandra Y. Castillo, for ourviewers. It was an inspiring evening honoring women’s experiences, addressing challenging issues, and celebrating women. This year’s theme was Press for Progress. The keynote address was by YWCA USA’s new CEO, Alejandra Y. Castillo. The YWCA USA and its network of 213 associations serves 2.2. million women and girls around the country in 46 states and the District of Columbia. With over two decades of professional experience in Washington, D.C., she has served in senior leadership in two presidential administrations. Given her policy, legal and business expertise, Alejandra has worked in various public, private, and non-profit settings. In 2014, Alejandra was appointed by the Obama Administration to serve as the national director of the Minority Business Development Agency (MBDA), becoming the first Hispanic-American woman to lead the agency, helping to secure financing and capital in excess of $19 billion, and creating or retaining over 33,000 jobs. Also, the event included traditional Indian Dance, refreshments, and international artists and makers. 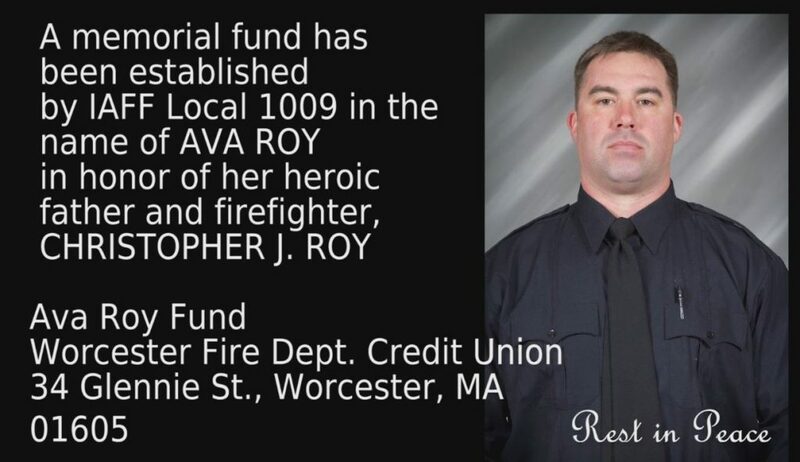 This entry was posted in Community, Events, Joseph, Mailing List, Mauro, News, Public Access, Shows, Tracy, Website on April 6, 2018 by webmaster. On February 28th 2018 WICN and Crocodile River Music hosted a concert by The African Children’s Choir. The African Children’s Choir is composed of African children, aged 7 to 10 years old. Many have lost one or both parents through the devastation of war, famine and disease. They represent all the children of a continent and they demonstrate the potential of African children to become strong leaders for a better future in their land. This entry was posted in Community, Events, Joseph, Mailing List, Mauro, News, Public Access, Shows, Tracy, Website, Youth on March 22, 2018 by webmaster. This entry was posted in Community, Events, Joseph, Mailing List, Mauro, News, Public Access, Shows, Tracy, Website, Youth on March 20, 2018 by webmaster.